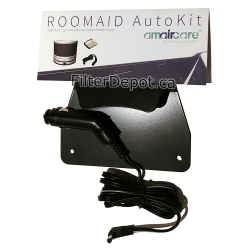 Amaircare Airwash Whisper 350 Installation Kit is Amaircare original accessory. 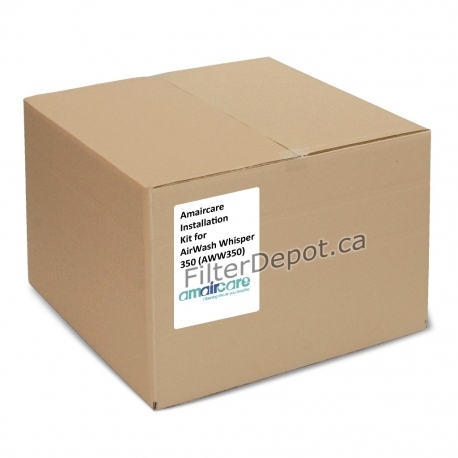 Amaircare Airwash Whisper 350 Installation Kit contains all parts and materials required for connecting the Airwash Whisper 350 (AWW350) central air purifier to the air duct of house's HVAC system. 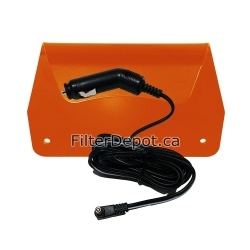 6" Diameter Flexvent Hose - 10 ft. long. 8" Diameter Flexvent Hose - 10 ft. long. Silver (Foil) Tape - 20 ft.
Air Intake 8" (20.32 cm) Diam. 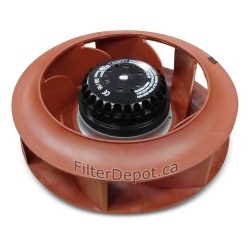 Air Outflow 6" (15.25 cm) Diam.